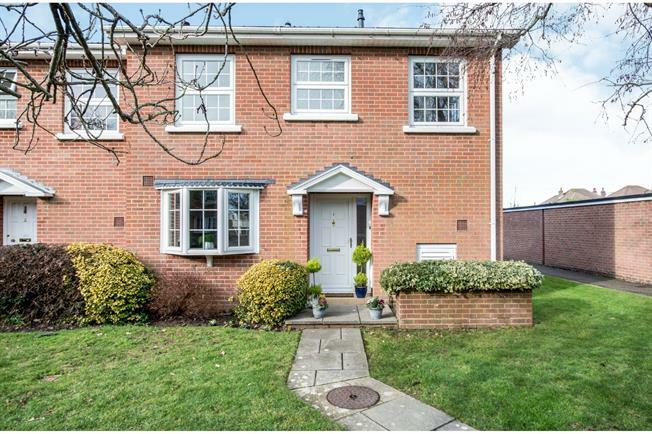 3 Bedroom End of Terrace House For Sale in Christchurch for Asking Price £379,950. This three bedroom house is immaculately presented throughout the whole house and leaves a show home impression. As you come in you are met with a spacious hallway with plenty of natural light. The kitchen has a lovely view out on to the front gardens and has plenty of space for all kitchen appliances. The large and bright lounge gives you a lovely view of the garden which enjoys all day sun. Upstairs is two large double bedrooms with a slightly smaller third. There is a simple walkway from the garden directly to the garage block.